Peaches the cat is a well-known sight around Duke University. Peaches the cat is a well-known sight around Duke University. The local stray frequents the college campus. But when Peaches turned up looking a bit under the weather after a storm, college students realized it was time to get the cat to a vet. But we all know that college students generally have no budget at all for large expenses, especially when they’re for a stray cat. So Anna Matthews and Anna Li set up a GoFundMe to benefit Peaches. So far, the page has earned $855, well surpassing its $300 goal. The extra funds will likely be used to pay for vet care for MamaBean, another stray campus cat. 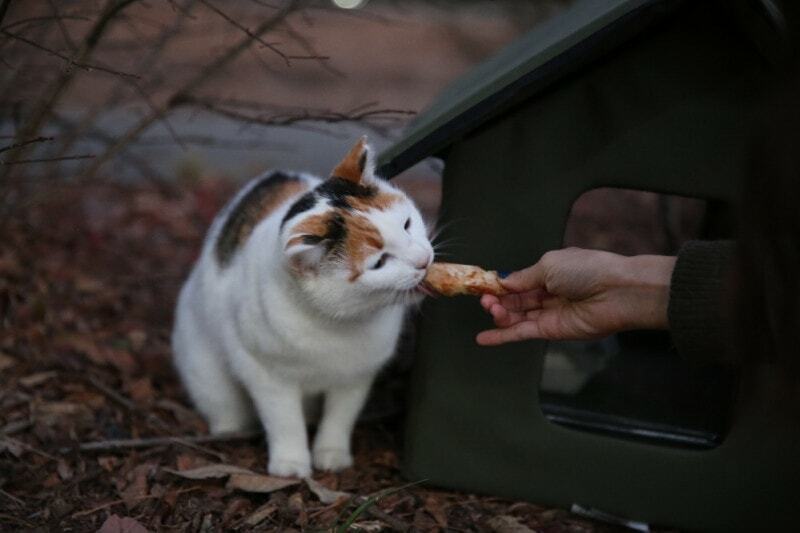 It’s awesome to see students getting involved in caring for these stray cats, and we’re so glad that Peaches and MamaBean will get the care that they need. I think this is great that the kids are helping the kitty. It is nice to see them helping and caring for others for a change instead of only for themselves. I hope that a home can be found for both though. Being a stray is never an easy thing and I’m sure they both would love to have comfort and love in their remaining years. Hi Mary….Being a stray is never easy. I have taken in strays, both teenagers and cat’s for years. I t is surely worth it. My daughter used to bring home broken kid’s and animals that always needed a safe harbor.